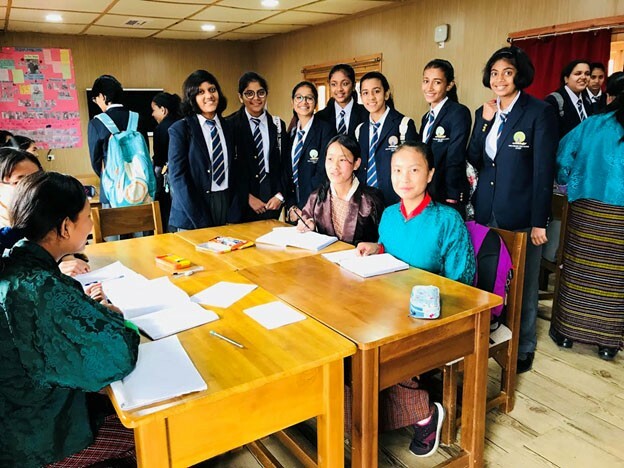 17 of our girls escorted by Mrs. Smita Goyal went to Bhutan for an exchange programme from the 3rd to 12th of August, 2018. 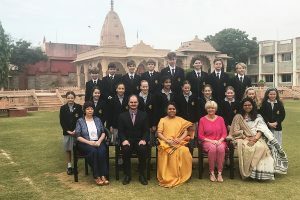 The purpose and objective for this programme was to enhance the educational experience of students, enable them to experience international education and explore, appreciate and understand different cultures. They had a formal meeting with the Indian Ambassador of Bhutan, Mr. Jaideep Sarkar who enlightened them on the subject of the India-Bhutan relationship. 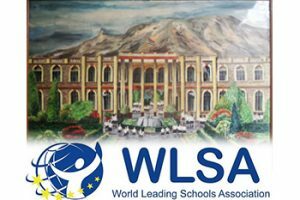 The girls spent a day in the Royal Academy, Paro and followed their daily routine of classes, activities and games. They also visited the Druk School, Folk Heritage Museum and the famous Buddha Point and walked along Bhutan’s longest suspension bridge (175m). The 10-day exchange programme came to an end with an adventurous hike to the Tiger’s Nest. 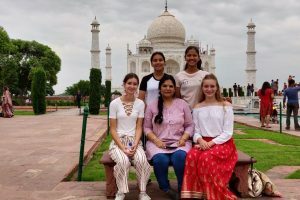 It was a very enriching experience and the girls learnt a lot about their traditions, cultures and religion and came back with memories that can never be forgotten.